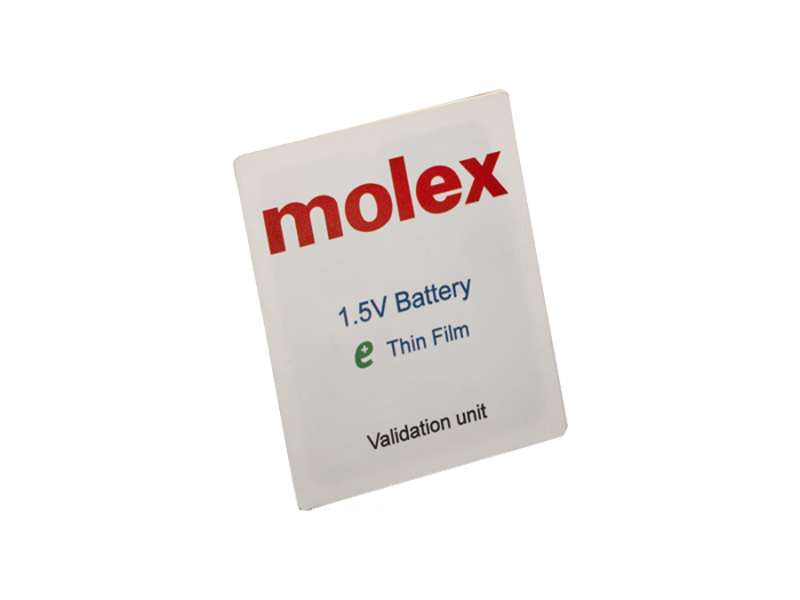 Molex 1.5V and 3V Thin-Film Batteries are low-profile, flexible, and disposable batteries with a small footprint designed for low-power single-use applications. The vertical construction reduces the footprint compared to other printed batteries and leads to lower internal resistance and improved performance. These thin-film batteries can be applied in a curved surface with a bend radius of 25mm or greater. The 1.5V and 3V batteries support design flexibility appropriate for a wide variety of products. These batteries are available in 1.5V and 3V configurations and reduce the distance between anode and cathode. The 1.5V and 3V batteries operate at -35°C to 50°C temperature range. These batteries are designed for low-power single-use applications such as wearable electronics, biometric monitoring devices, biosensors, smart labels, and environmental sensors. Applications also include industrial and IoT, consumer, and medical. You can check out our 1.5V battery product here and 3V battery product here.